Member of the Council of Representatives of Iraq Ahmed el-Masary accused government forces of genocide against the residents of Fallujah city on Friday. 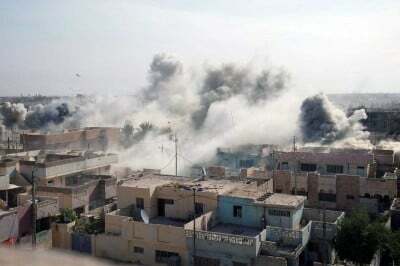 Many parts of Fallujah have been hit by random artillery shelling early morning on Friday, leaving dozens of civilians and anti-government militants killed, police and doctors told reporters. Iraqi police and army troops launched military attacks on Fallujah in an attempt to restore control on the city from anti-government troops who have been seizing the city since January. In a press statement, El-Masary described the bloody attack as “a genocide war”, and demanded an urgent session at the CORs to discuss what he dismissed as “heinous crimes committed against the people of Anbar province and Fallujah in particular, which led to the destruction of its hospitals, mosques, homes and infrastructure.” He held all political forces responsible for the continuation of this crisis. El-Masaray stressed that his coalition denounced terrorism of all forms, and that the people of Anbar “were the first to confront terrorism”. He added that dialogue is the best means to resolve all problems, and that the government should handle the crisis wisely and refrain from using force, which has always failed to put an end to Iraqi problems.